The Patriarch Tikhon Russian-American Music Institute (PaTRAM)’s Patriarch Tikhon Choir is named for the great missionary to North America and new martyr, St. Tikhon, Patriarch of Moscow, the Patriarch Tikhon Choir is an American professional choir dedicated to the performance of Orthodox Christian sacred music. 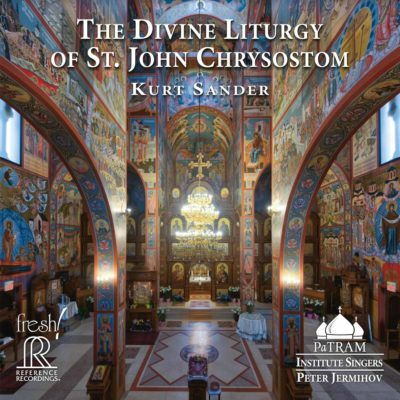 While rooted in the repertoire of the great Russian sacred choral composers, such as Rachmaninov, Chesnokov, Kastalsky, Bortniansky, among many others, the choir also explores a diverse range of music from various Orthodox traditions. In particular, the choir focuses on new compositions, arrangements, and transcriptions of Orthodox sacred music in English by American Orthodox composers. Founded and directed by renowned Moscow choirmaster Vladimir Gorbik, the Patriarch Tikhon Choir seeks to present Orthodox sacred music in its highest possible form, striving to unite heartfelt spirituality, a deep love for the traditions of Orthodox Christian singing, and an uncompromising standard of musical professionalism.